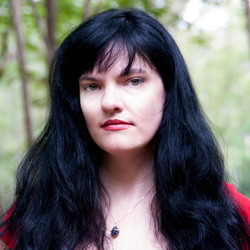 Catherynne M. Valente is the New York Times bestselling author of over a dozen works of fiction and poetry, including Palimpsest, the Orphan's Tales series, Deathless, and the crowdfunded phenomenon The Girl Who Circumnavigated Fairyland in a Ship of Own Making. She is the winner of the Andre Norton, Tiptree, Mythopoeic, Rhysling, Lambda, Locus and Hugo awards. She has been a finalist for the Nebula and World Fantasy Awards. She lives on an island off the coast of Maine with a small but growing menagerie of beasts, some of which are human.